October 4th and 5th – Save the Date! 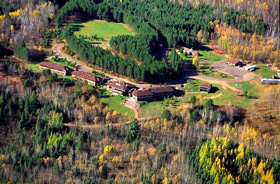 The Wisconsin’s Green Fire 2019 Annual Meeting will be held on October 4th and 5th at the University of Wisconsin Stevens Point outdoor center and conservation camp at TreeHaven near Tomahawk. Our Annual Meeting will bring together many of Wisconsin’s most regarded conservation and environmental experts along with agency staff and inspired citizens. Join us for learning, great ideas, and visiting old friends and making new ones. Save the dates for this important event and check back here for details.